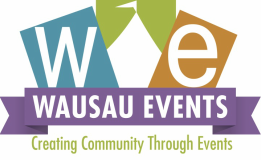 Wausau Events is dedicated to producing high quality, affordable events for the community. We deliver diverse programs and experiences designed to enhance the quality of life for residents while attracting visitors to the area. As a non-profit organization, we build and sustain relationships with local businesses, organizations and volunteers to ensure our year-round events are fun, build community, and reach a large and diverse audience. We partner with other nonprofits to have them volunteer for our events and we, in turn, provide them money to help sustain their mission. In 2018 we helped different nonprofit entities who helped us. We gave back to the community over $16,000 in 2017. We have a 15 member Board of Directors and 6 committees that keep the organization and its events ever changing, yet sustainable. We have a small but dedicated staff here at Wausau Events, Inc. Get to know us better!